If iambic pentameter and juxtaposition are phrases you love, you have to check out our guide on various poetry clubs in Pennsylvania. From slams to readings, PA has the poetry you're needing! This weekly open mic night provides a stage and an amplified voice for some of the best spoken word performances in Philadelphia. Dowlings is located just a few short blocks away from Temple University's campus. In addition to poetry readings, Dowlings also offers comedy and singing. Doors open Thursdays at 9 pm and stay open until 1 am with a small $5 cover charge. 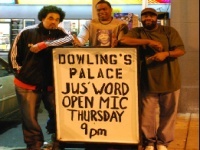 So if you want to stop in and showcase your talent for poetry or just interested in the many unique performers in the Philadelphia area, stop on by Dowlings Palace for a taste of culture you won't soon forget! The Literary Center of Philadelphia! Your adoration for literature in Philadelphia is satisfied here! Monthly events range from Philly Youth Poetry Slams featuring spectacular teenage poets to the always popular Poet-Tree En Motion series. 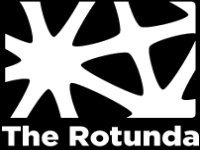 The Rotunda is in collaboration with UPenn and many of these events are responsible largely in part to the active student community. Event dates and times vary so be sure to check out their calendar for all their unique poetry events. Most are free to watch, but some have a small entrance fee well worth it! Stop by for a slam night to really get the full experience! 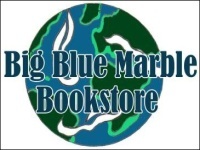 Big Blue Marble Bookstore is located in the Mt. Airy section of Philadelphia and falls nothing short of unique! Their monthly free event, Poetry Aloud and Alive, hosted by local poet Mike Cohen is certain to interest you. In addition, Big Blue also specializes in literature ranging from children’s book to feminist science fiction. An open reading follows a featured reading to receive the best of both worlds! Generally starting in the evening around 7 pm and lasting a few hours, Big Blue Marble Bookstore is a good place to unwind from the daily workload and listen to some amateur poetry from the resident’s right around Mt. Airy! Every 2nd and 3rd Friday of the month October Gallery hosts Panoramic Poetry located in the Mt. Airy section of Philly. A small entrance fee of $10 gets you in to see all the most interesting poetry in the Philadelphia area. Tickets may be purchased before the event, and are a good idea to do so as these events fill up rather quickly! 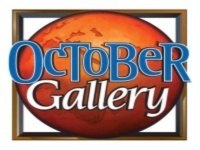 The October Gallery has been open over 25 years and is the host to the nation’s largest African American Art expo! So be sure to plan your poetry visits monthly around the October Gallery's events! 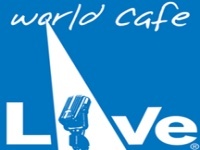 Fun and interesting events are plentiful at the World Cafe Live. Two separate floors of fun offer twice the excitement for you! Downstairs Live seats 300 and holds up to 650 standing. Upstairs live is a smaller more intimate setting with seating for approximately 100 people. One event to keep an eye out for is the Literary Death Match, described as a mix between Def Poetry Jam, American Idol, and Double Dare. Another recurring event you won't want to miss is The Harvest sponsored by Spoken Soul 125. Tickets for these events are available beforehand. Head on in to any of these poetry events for a guaranteed good time!